Adelina Amouteru is a malfetto, a scarred survivor of the blood plague that swept through Kenettra ten years ago. At first, victims of the plague elicited sympathy, but soon malfettos became hated and feared as symbols of the judgement of the gods. Others, however, whisper about the Young Elites, malfettos with unnatural powers who are folk heroes to some, and villains to others. Adelina’s beautiful younger sister, Violetta, also had the blood plague, but emerged unmarked, and will soon be eligible to make an advantageous marriage. 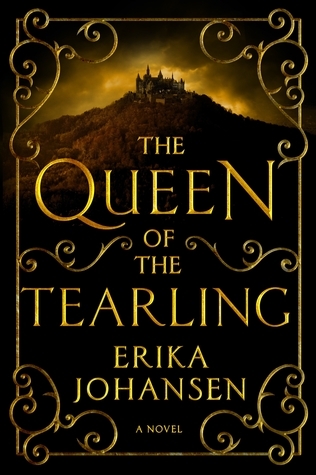 But no one wants to marry a one-eyed malfetto, and when Adelina’s father strikes a bargain to sell his older daughter as a mistress in order to pay off his debts, Adelina decides to run away. On her own, Adelina runs afoul of the Inquistion, and its leader, Teren Sorento, who is sworn to eliminate malfettos from Kenettra once and for all. Liberated from the Inquistion by a mysterious alliance of Young Elites called the Dagger Society, Adelina finds herself caught in the middle of a political movement to which she has little choice but to pledge herself and her newfound powers. While she is uncertain of the cause, she is intrigued by the Dagger Society’s leader, the fire-wielder known as The Reaper, once called Enzo Valenciano. However, Teren Sorento isn’t willing to let her go so easily. 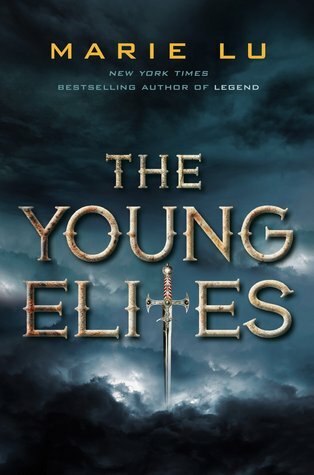 Fresh off the success of her Legend series, Marie Lu begins a new trilogy with The Young Elites. As in the Legend trilogy, Lu incorporates multiple perspectives, including other members of the Dagger Society, and even Teren the Inquisitor. Adelina remains the central character, but she is not your usual sympathetic protagonist. She is angry and afraid, and her inability to control these emotions makes her dangerous and unpredictable. This is a realistic outcome of her abusive upbringing, but it does not endear her to others, or inspire them to trust her. However, her desire to be independent and to make her own decisions rather than be manipulated by either political faction earns her a grudging respect from the reader. Her rescuers are realistically motivated rather than unerringly altruistic, and her unwillingness to throw herself on their mercy is understandable. Though a burgeoning romance with Enzo complicates her situation, romance is not at the centre of Adelina’s dilemma, but rather the focus is on her struggle to define herself outside her family, while two great and opposing forces try to shape her to their will. The plot moves along steadily, though Lu spends ample time on world building and exploring Adelina’s damaged mental landscape, both of which take centre stage in the middle part of the novel. Kenettra is an Italianate nation with a Renaissance vibe, while distant Beldain draws inspiration from Britain, and promises to feature more prominently as the series progresses. However, the slightly slower middle section moves towards a stunning conclusion. The grand finale kicks off with a somewhat improbable duel, but instead of leading to the predictable result, Lu brings out the big guns for an unexpected finish that opens the field for book two of The Young Elites to take this series to the next level. The epilogue is a masterful final touch on this unexpectedly gritty fantasy novel that promises great things to come.